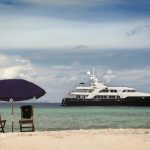 Fiji’s 332 islands, of which only 110 are permanently inhabited, remain the gold standard for a truly tropical cruising destination. 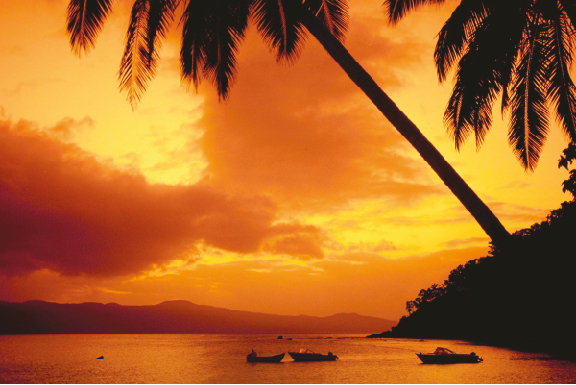 FIJI comes as close as any other region to being tropical paradise. In the year that M/Y Noble House has spent here in charter with its owner, we have covered a lot of ground. However, with 332 islands to explore there is no shortage of places to discover. Lying between latitudes 15° and 22° south of the equator, Fiji possesses an outstanding climate, palm trees, rich tropical rainforests, beautiful white sandy beaches, pristine coral reefs and crystal clear water. Forget the plastic waste so often encountered while cruising, instead you’ll see coconuts floating past. Perhaps the most enduring memory carried away from Fiji is that of the people; their friendly nature and hospitality are legendary. Tradition is strongly maintained, especially in the outer islands. It is customary to present “Sevu Sevu”, a ritual undertaken when arriving in a new area. You can buy half kilo bundles of pepper plant root (Yaqona or Kava) at the markets, usually wrapped in newspaper and tied with string. When entering the village you should ensure all are wearing shirts that cover shoulders and a Fijian Sulu to cover the legs, no hats or sunglasses should be worn. Upon landing, a representative of the chief will normally accept your bundle of Kava. The representative will present the Kava to the chief and some short traditional speeches will ensue, culminating in your being welcomed to the island. Small gifts are always greatly received. We always carry school supplies, fishhooks and lines, flashlights and other items. My new favourite gifts are small solar powered lights which are a great help in reducing the reliance on kerosene lanterns. The principal cruising season is the southern winter with east to south easterly trade winds of 15 to 25 knots and temperatures around 30°C during the day, 15 to 22°C by night. The cyclone season is the summer months from November to April. At this time the trade winds die down and offer a great opportunity to cruise the more remote islands in much calmer conditions. Weather information is such that cyclones are easy to track and avoid in places of refuge. Having said that, I couldn’t really recommend cruising during this season for those without a good level of local knowledge. Port Denarau Marina is only a twenty minute drive from Nadi International Airport, the only Fijian airport with direct international flights from United States, Hong Kong, New Zealand and Australia as well as clearances for private jets. Set in the middle of the Denarau Island complex, Port Denarau Marina is walking distance from a retail centre, marine repair and maintenance services, high-end hotels and restaurants. 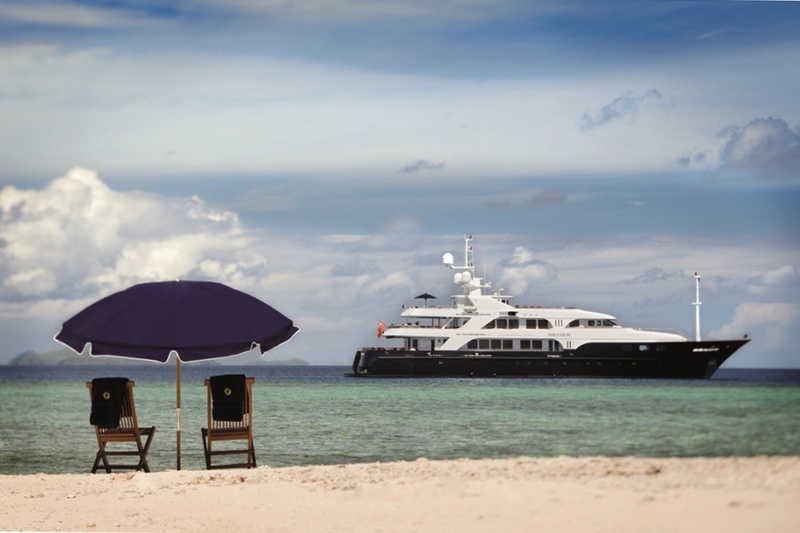 It is also the base of operations for Yacht Help Fiji, the premier superyacht agent (www.yachthelp.com). The entrance channel and marina have been dredged to five meters and there are eight berths for up to 60 meter yachts with power, water, fuel and Wi-Fi. The face dock can take 70 meter or larger vessels. This is the only substantial marina in the islands and is the perfect starting point for a cruise to the Mamanuca or Yasawa Groups. 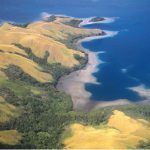 Once you have left the main island of Viti Levu there is very little available: no fuel, stores, shopping or spare parts. We carry everything we need and usually replenish at preplanned provisioning points. Many of the outer islands have airstrips and irregular barge services so planning is essential. 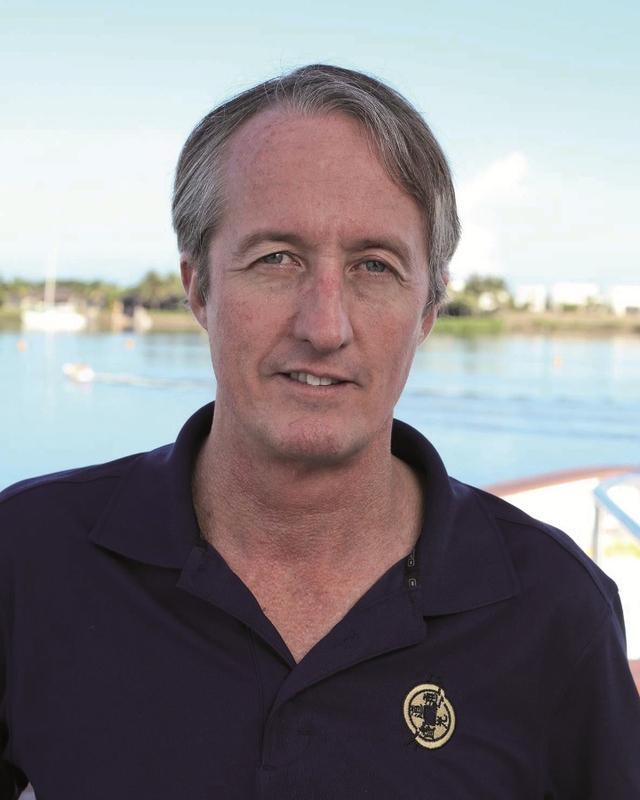 An agent, such as Yacht Help Fiji, can also assist in importing high-quality food items from Australia and New Zealand. There is a floating drydock in Suva and haul-out slips in American Samoa and Tahiti. I could not recommend them for anything apart from routine work. For maintenance I suggest going to Australia or New Zealand. There are some basic chandleries in Port Denarau and Yacht Help Fiji now stocks some more large yacht oriented supplies. GSM cell phone coverage can be found almost everywhere apart from the southern Lau Group. 3G data is available close to the main towns. This remains the principal challenge in cruising throughout the Fiji Islands. Charts are extremely unreliable and cruising must be approached in a very disciplined manner; a good look out and polarised sunglasses are essential. Cruising in reef/shoal waters is best done in the hours between 1000 and 1500 when the sun is high in the sky. If it is overcast or there is bright sunlight on the surface you should not move unless quite sure of your route through past experience. Although the prospect can be daunting, stick to these basic principles of good seamanship and you will be fine. I use Transas, Navionics, Jeppesen and Google Earth to record my tracks and produce composite charts. There is no one system that gives good coverage everywhere. The location of these islands on the leeward side of Fiji means they enjoy dry sunny weather. 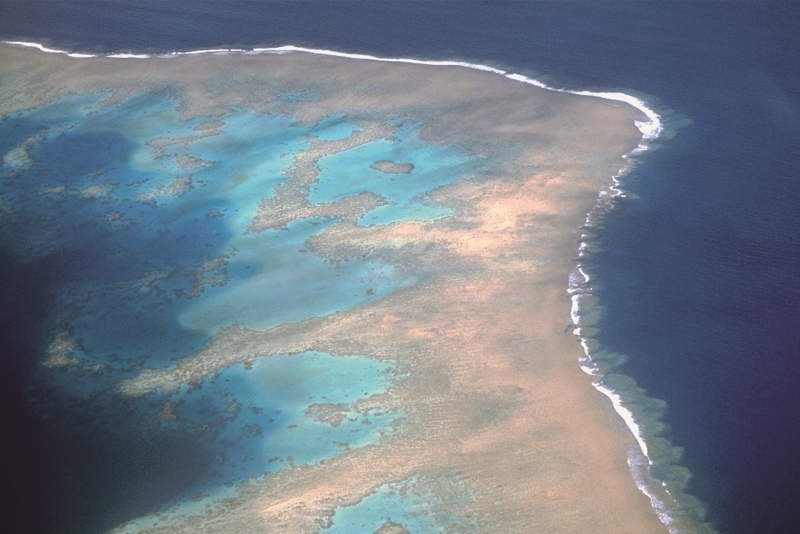 The Mamanucas lie within the reef, providing smooth sailing. There are a wide variety of islands, some home to boutique resorts while others are more secluded. As you sail north you arrive at Waya Island in the Yasawa Group, anchoring off Natawa village (South Waya). After presenting Sevu Sevu, a guide may take your guests on a walk, with spectacular views from the island’s peak making it worth the short hike to the top. Stop and refresh in the natural spring on the way up; continue to walk right over the island and meet the yacht on the other side. Further north near Nanuya Balavu and Naviti Islands you will often find manta rays feeding in the passes between the islands on the high tide. In the southern Yasawas you can snorkel above a Second World War wreck, explore the limestone caves at Sawa I Lau, and visit the fine sandy beaches of Yasawa Island. At any time (except Sunday) it is possible to organise a village to throw a Meke (traditional entertainment) and Lovo, where food is woven into coconut palm baskets and cooked in fire pits over hot stones. 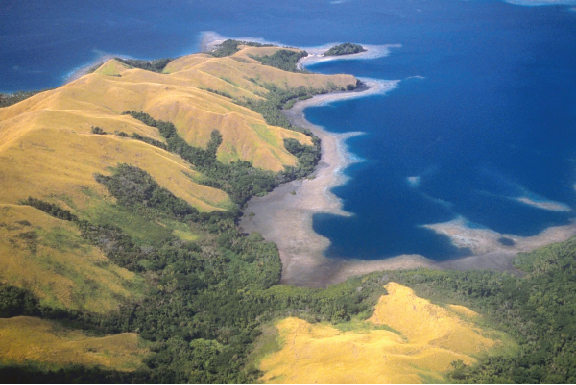 Kadavu lies about 80 nautical miles south of Port Denarau. I like to anchor off Nagigia Island at the South Western extremity to take advantage of several surf breaks, superb snorkeling, a spectacular wall dive that drops off the seaward side of the island and an offshore pinnacle that is always good for some large pelagics. 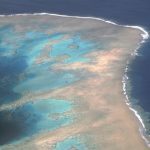 Extending to the east of the main island lies Astrolabe Reef with some great reef passes and excellent diving. Beqa, which lies to the north, close to Viti Levu is known for its Shark Dive (www.fijisharkdive.com), fire walkers and some fantastic fishing. Expect to hook Wahoo, Walu and Yellow Fin Tuna. 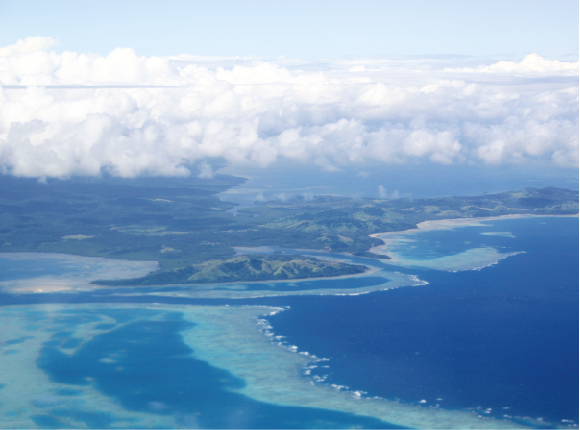 The Vatu-I-Ra channel contains some of Fiji’s best diving. The constant flow of water through the channel produces some of world’s most colourful soft coral gardens, and in the deeper water there are pinnacles rising up to the shallows that are the domain of the large pelagic species. These are for experienced divers, a local guide is recommended. The Lomaiviti Group includes the islands of Makogai, an ex-leper colony and now home to a turtle hatchery. Gau is well known for its shark dives and the remote Namena is a marine sanctuary. Savusavu is a quaint little town with volcanic activity producing hot springs that steam along the foreshore. Home of the Fijian pearl industry, the town has shops and a market for fresh provisions. From here, head east to the island of Taveuni, known as the garden island for its lush rainforest. 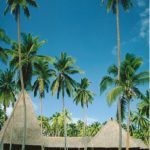 You will find little evidence of tourism and an opportunity to experience traditional Fijian life. Taveuni is famous for its waterfalls and world-class dive sites like the White Wall on Rainbow reef in Somo Somo Strait. Again, a local dive guide is highly recommended as getting the tide right is critical. 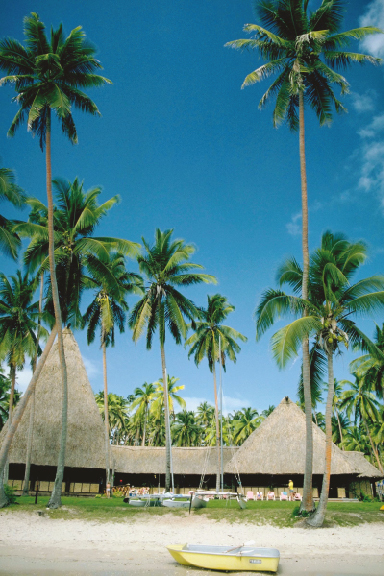 Visit the Rabi island dancers in Nuku for great entertainment and the Island of Kioa for traditional handicrafts. 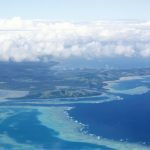 This is the most isolated and untouched area of Fiji. It’s possible to spend weeks here venturing where few others have travelled. Admiralty pilots are often the best guide to what is possible, always keeping in mind that the coral may have grown more than a meter since these recorded visits of warships in the mid-19th century. In all cases, use caution and a tender sounding ahead when in doubt. Only recently opened to yachts, the area offers stunning scenery and rarely visited reefs. 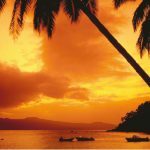 If guests wish to cruise these islands I generally recommend that they fly to Vanua Balavu, Lakeba or Moala Islands to avoid the long trip to windward. In the north you can visit Wailagilala which has an easily accessible reef entrance to leeward of the prevailing winds and a large navigable lagoon. To the west lies Duff reef where it may be possible to see turtles hatched and/or laid between October and March. Vanua Balavu (also known as the Exploring Isles) is a large reef enclosed lagoon studded with spectacular limestone rock formations, caves, beaches and just about everything you would need to keep you busy for a week. I recommend the diving in Nggilanngila Passage in the north and Tongan Passage in the south. As with all lagoon pass dives, pay close attention to the state of the tide and obtain local guidance where available. It is possible to clear into Vanua Balavu by flying the officials from Nadi or Suva. This is a very good option when approaching Fiji from the East. Further south lies a large number of islands and rarely visited reefs. There are too many to mention here but I particularly recommend the Yagasa Cluster, Ogea Levu and Vulaga. Vulaga island lies in a stunning turquoise lagoon that is entered through a 50 meter wide passage that should not be attempted in heavy easterly to south-easterly conditions. The inhabitants are traditional carvers, famed for their outrigger canoes, Kava bowls (Tanoa) and decorative woven-house construction. To the west of these islands, best visited when returning to the mainland, are the islands of Matuku, Moala and Totoya. Totoya offers a beautiful and safe anchorage inside the caldera of its long dead volcano.